“Only 1411 left”. Have you ever heard of this famous phrase? Of course you must have. From the last one year we are coming across a different kind of campaign which proudly focuses on tiger conservatism. A renowned mission to save the environment and save the continuous extinguishing species of tigers especially the Bengal tigers which are the most glorifying species of our country and consequently became the most concerned part of the movement. It has been estimated that the current population of tigers in India is 50% out of world’s tiger population. Keeping this in mind, this issue strictly forces us about the coming years of their survival if the rate will be still deteriorating? In collaboration with WWF-India, Aircel-NDTV started the “Save the Tiger” campaign and took an outstanding initiative keeping a healthy thought in mind to support the cause. The campaign encouraged many individuals including the celebrities like Amitah Bacchan and MS Dhoni to join the campaign and many promotional activities and advertisements were followed for the same. A special show hosted by anchor Vikram Chandra from NDTV, invited many tiger experts and stakeholders to voice their opinions and appeals to the general public to generate their opinions and support the noble cause. Superstar Amitabh Bacchan showed his support by mentioning its importance in his blog. With multiple SMS poll, Aircel raised this issue and created awareness among the public to understand the importance of tiger conservation in our country. With multimedia campaigns and series of special tiger programs, the strongest media campaign on NDTV highlighted the urgency of “Save our Tigers” effort. By telecasting these special programs, they focused on the situation and the challenges facing our national animal. These noble attempts showcased multiple positive responses from the public and the result was really outstanding and unexpected. Further, many social networking sites too joined this campaign and created their own blogs and sites which were supported by many users in response for the same. Ultimately it created a lot of awareness among the people of India and today almost each and every individual is devoting their valuable opinions to support the campaign. It effectively aroused the importance of many tiger reserves and wildlife sanctuaries established in various parts of the country. 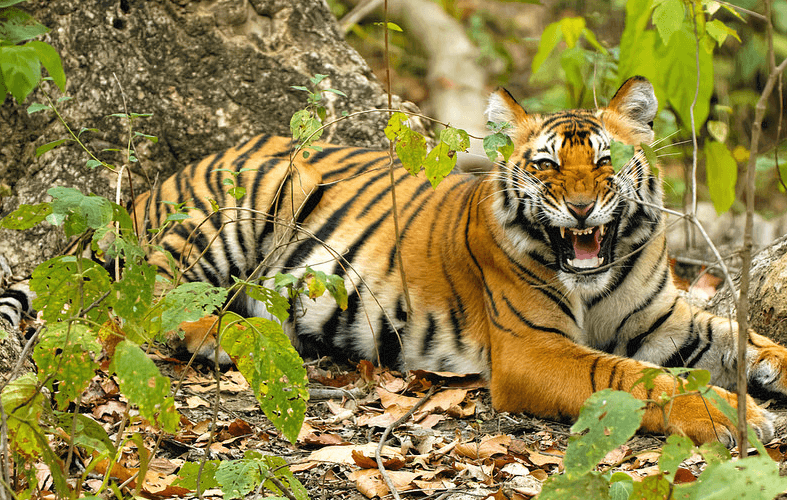 Surveys define that the rate of visiting these sanctuaries, including the Jim Corbett National Park or Ranthambore National Park; increased in the last one year. The list of visitors also included the numbers of Indians who earlier neglected their own treasure and keeping the ideal objective in mind, many people approached to raise funds to protect our tiger from extinction. The mission to save the environment does not end here but it is just the beginning. We will have to try harder to protect our environment and our national animal. Being a responsible citizen of India, the zeal and energy should continue to remain within us and we should make multiple attempts to carry this campaign further so that each and every person should be aware of the importance of wildlife and the natural environment for our own survival. Their attempts will include everything, right from campaigning, promotion, raising funds and many more. We will thus see a different earth which is rotating around safe and protected.